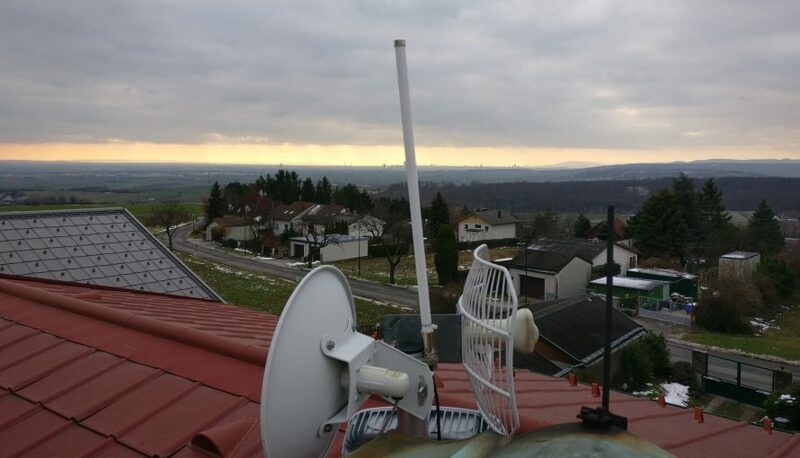 Another new LoRaWAN gateway ist just getting online in Mannhartsbrunn, Niederösterreich! Let’s zoom in a bit to see Vienna’s skyline and understand why this is yet another awesome spot for extending The Things Network’s coverage. The hardware was financed through our Verein.